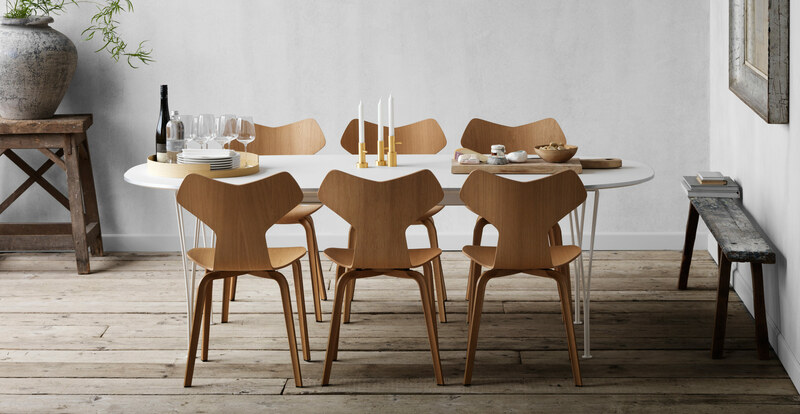 The Super Elliptical Table from Fritz Hansen was inspired by Piet Hein's roundabout in Stockholm. A large Oval that regardless of the purpose looked somewhat Harmonious. Super Elliptical is available in a choice of 7 different top finishes, which are; 3 standard Laminate's (Black, White & Grey), 3 special Laminate's (Brown Ottawa, Grey Bromo & Grey Efeso) or walnut veneer. The 8 colour finishes really stand out and make quite a statement with the matt finish, whether you choose a Brown Ottawa tabletop or a simple black tabletop with black legs for a minimalist/monochrome look, the Super Elliptical Table brings personality in to any styling. Available in a choice of 6 different sizes. 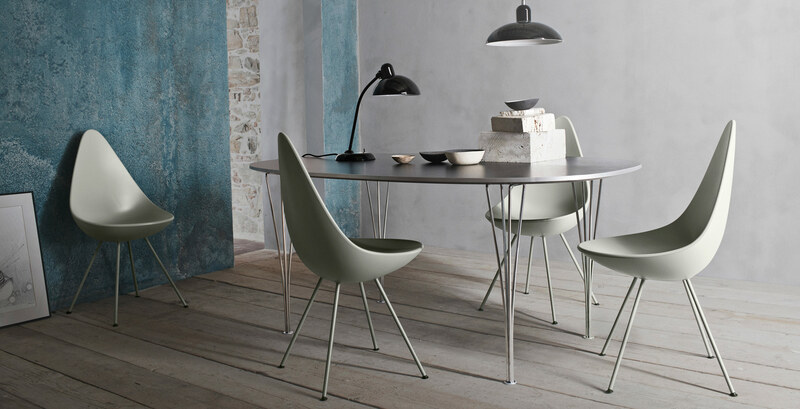 The Super Elliptical Table from Fritz Hansen comes with a full manufacturers warranty.